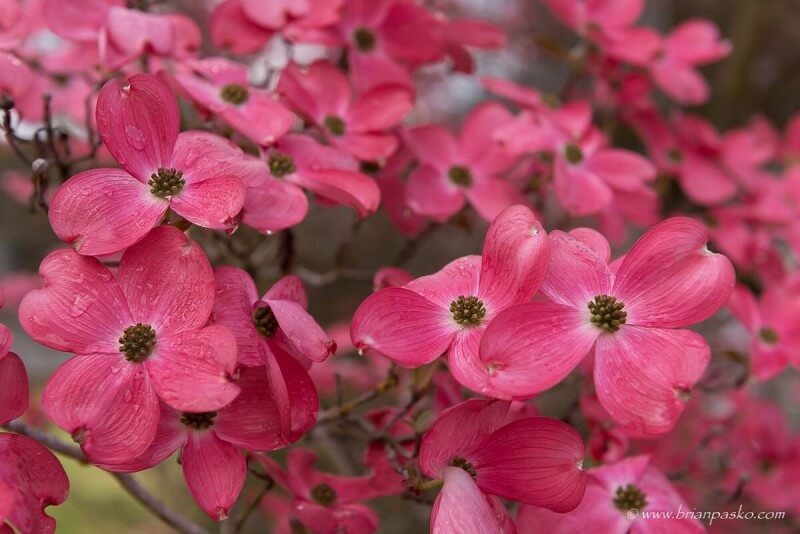 As a fine art and naturescape photographer, I just couldn’t resist a quick shot of these beautiful pink dogwoods in my neighbor’s yard. We’ve got a few of these too, but somehow my neighbors plants always look better than my own! Either way, it’s a welcome sign to see spring in full swing, knowing clear skies and a warm summer are (hopefully) just around the corner! Click on the image to see larger versions! This photograph and many other nature, landscape, and fine art images are available for sale as prints and wall displays on my website. Click here to visit the Brian Pasko Photography Nature and Landscape Gallery!